We live in a consumer culture. We love to eat, drink, and be merry—while binge watching whatever’s trending on Netflix and getting a dopamine hit for every item added to our cart on Amazon Prime. We love to take it all in—information, entertainment, status updates, news reports, substances, and an endless array of stuff. There’s never a shortage of things we can consume, often to keep our minds distracted and our feelings silenced. Now don’t get me wrong. I love a good meal, a Jim Beam or two, and an afternoon spent zoned out on my couch, Penn Badgley haunting me hour by hour as his stalking escalates from creepy to criminal. And I’m all for staying educated and updated, on issues both important and inane. I’ve spent hours obsessively researching all things health-related, and I’m embarrassed to admit that my search history reveals more than a healthy number of celebrity websites, if such a number exists. I also understand the instinct to shut down for a while. Our minds can get intolerably loud, and sometimes, external demands can be overwhelming. A little disengagement can be a good thing in a world that often requires us to be on. But there needs to be some kind of balance. If we spend our whole lives ingesting information and scarfing down an assortment of stuff meant to soothe us, we’ll never have the time or space to connect with ourselves and create the things we want to create. I’m not talking just about artistic expression, though I personally feel more alive when I’m bringing some type of creative vision to life. I’m talking about filling the void inside with our own curiosity, passion, and awe instead of constantly stuffing it with external pleasures. It may not seem like it in the moment when our shows, social media, or shopping carts beckon, but often the greatest pleasure stems from actively working toward a life that excites us. What are some things we can create? Many of us go through our days without a sense of purpose. We have no idea what we value or what we stand for. We have no idea what we’re really doing with our lives, or why. Nothing feels exciting when nothing is fueled by passion or intention. In order to feel alive, we need to be connected to what matters to us most individually. I’m not talking about a specific career direction, though that could be a part of it. 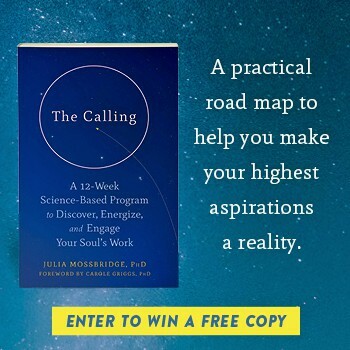 I’m talking about creating a blueprint for how you want to show up in the world so you can be the person you want to be and make decisions that feel right for you. To live with wonder, courage, compassion, and integrity, prioritizing family, freedom, adventure, and creative expression. Knowing what I value, I’m better able to decide which opportunities to pursue and accept and which ones to politely decline. This doesn’t have to be set in stone. Mission statements change over time as we grow and evolve. So write, revisit, and revise, as often you deem necessary. This is the low-hanging fruit for this list. Yes, art is something you can create! Big shocker! But it clearly has a place here nonetheless. Especially if you’re tempted to consume to avoid your feelings, why not channel them into a creative project instead? Creativity is not only calming and healing, it’s a journey back to the simplistic joy of childhood—when you had countless Lego castles, doodle-filled pages, and chalk street art masterpieces to show for your time. And the possibilities are endless. You could color, sketch, paint, sculpt, sew, crochet, knit, make jewelry, build something, or write a poem, short story, or song. You could art journal, scrapbook, create a magazine collage, try origami, or make something with unconventional materials (duct tape, wine corks, doll parts from your childhood). If you tune into your feelings and curiosity, you’ll find endless inspiration, and if you look around, you’ll find endless materials to use and recycle. It’s worth noting that quite frequently, consumption fuels creation. I can’t tell you how many scripts I read and films I watched when preparing to write my first screenplay. Every movie helped me learn and sparked ideas for my own story and its execution. Though it’s also wonderful to enjoy art for the sake of it, there’s something thrilling about consuming with a purpose. Not just to be entertained but also to be inspired—so you can create something personally meaningful to you that will hopefully move and inspire other people to live and a love a little louder. Little feels more exciting than chiseling a piece of your heart into something beautiful that will endure, while simultaneously motivating other people wake up and live more fully. We live in an exciting time for self-expression. No longer do gatekeepers get to decide whose words deserve a platform. Anyone can start a blog, vlog, or podcast to share their thoughts and views with the world. The beautiful thing is, it’s not too hard to get started. You don’t need a fancy site or special equipment to get going—though those things are nice to have, and they’re things you could always acquire in time, if you like the medium you choose and decide to see how far you can take it. READ THE REST OF THE ARTICLE…….